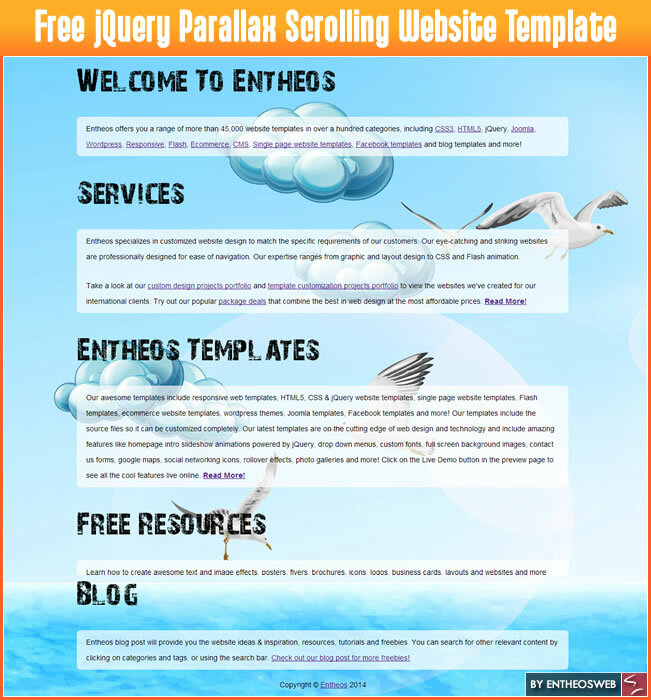 Download free HTML5 and CSS3 website templates exclusively from EntheosWeb. These templates include single page website templates, parallax scrolling website templates, responsive templates and Bootstrap templates. 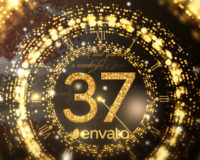 Templates also include image carousels, custom fonts and full screen background images. Eye-Catching Yellow and Blue Dreamweaver Responsive Website Template for tablet, iPhone and desktop! Designed on a fluid grid, this good-looking Responsive Website Template fits tablet, iPhone and desktop sizes. 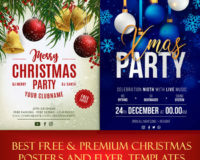 This template is built using mobile-friendly, lightweight HTML 5 coding and CSS3, the latest version of Cascading Style Sheets, which takes over the visual aspect of the design and separates the HTML code from the presentation. You can replace the content with your own, using Notepad or an HTML editor like Dreamweaver. Check out our step by step tutorial on how to create this Dreamweaver Responsive Website Template. Click Here! 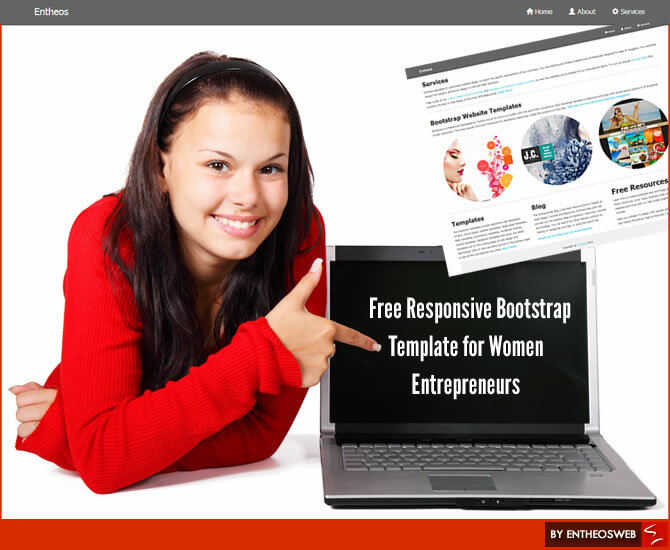 Download this free responsive Bootstrap template for business women or women entrepreneurs. It includes eye-catching features like homepage full screen background slideshow, circular image elements and menu icons. 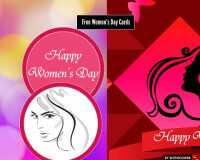 This template is coded in HTML5, CSS3 and jQuery. 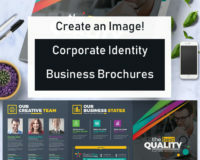 Simply change the pictures and text and this template can be used for any business, hobby or venture. 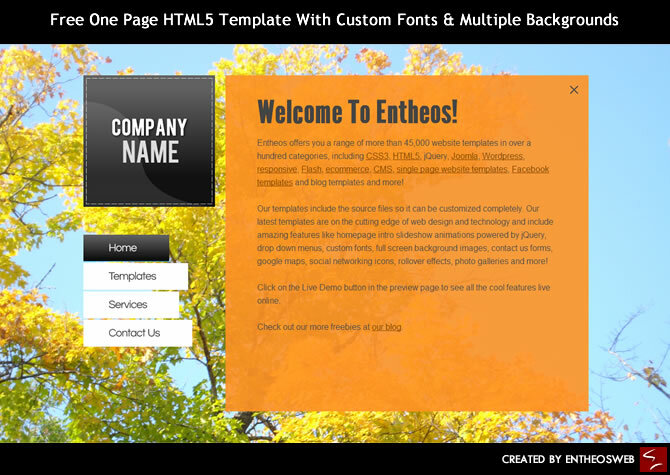 Click here for Premium Bootstrap templates from Entheosweb! Looking for professional single page website templates? 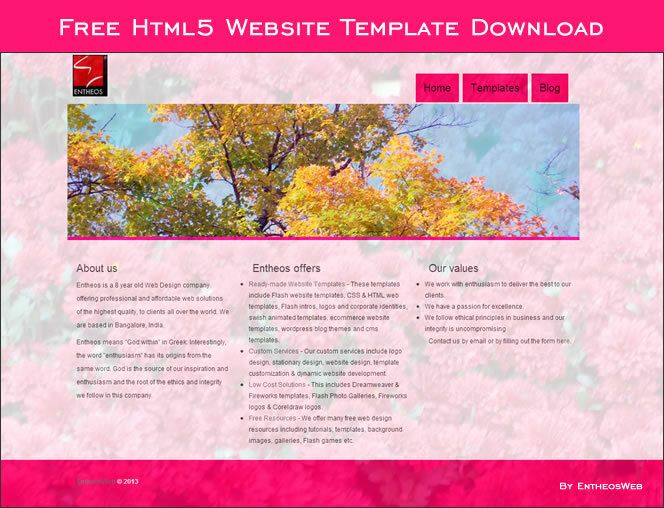 Click here for a variety of one page website templates. 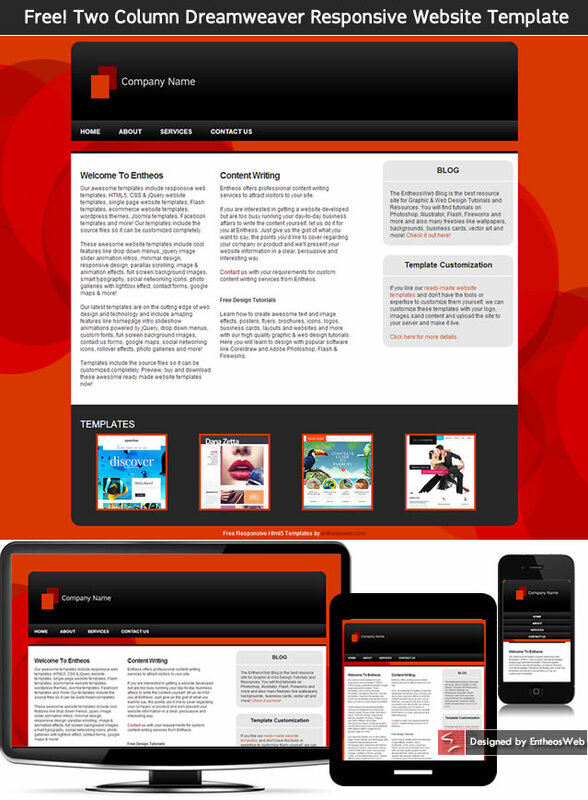 Orange and Red Dreamweaver Responsive Website Template for tablet, iPhone and desktop. This template features overlapping circles in red and orange, overlapping squares for the logo, rounded edges for the header and footer and a neat two-column layout with right sidebar. Designed with on a fluid grid with HTML 5 and CSS3, this responsive template fits tablet, iPhone and desktop sizes. Simply use Notepad or an HTML editor like Dreamweaver to replace the content with your own. Make an impact with this red and orange Responsive Website Template from Entheos, absolutely free! Note: This responsive website template is only for personal use and not for commercial or re-distribution purposes. 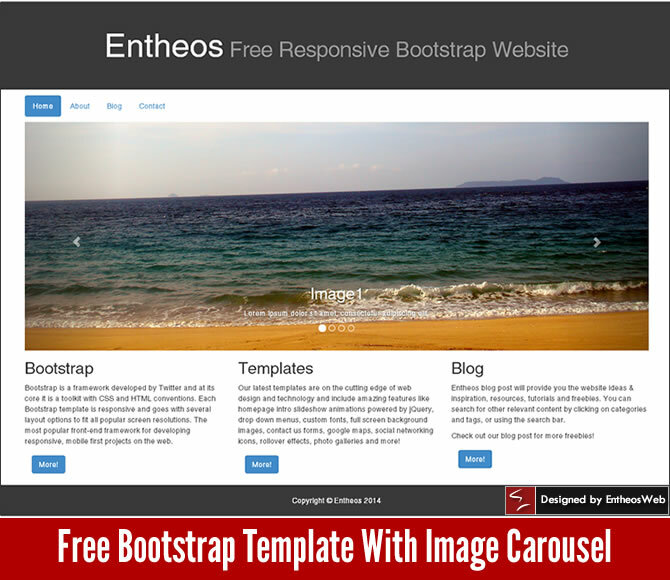 Entheos is proud to present a beautiful Bootstrap template for free download, for your personal use. Bootstrap is a framework that enables fully responsive templates for your desktop, laptop, mobile or tablet. This Bootstrap 3.0 template has a carousel for an attractive presentation of images. This template is only for your personal use. You may not resell it or use it for commercial purposes. Note: If you want to replace the carousel images, then scale all your images to the same height. And also the images should be in .jpg format. Looking for professional bootstrap website templates? Click here for a variety of bootstrap website templates. 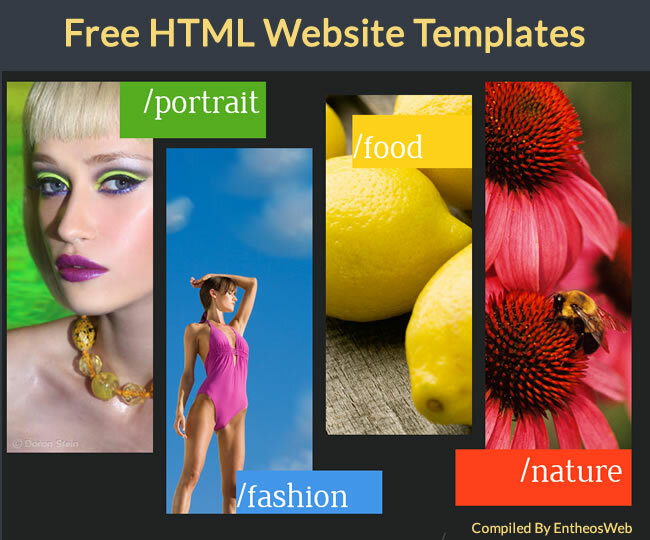 Looking for more Free Website Templates? 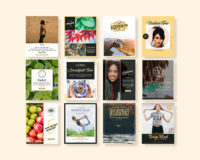 Wix offers the only drag n’ drop website building platform with HTML5 capabilities, 100s of designer made templates, top grade hosting, innovative Apps and tons of features for free. 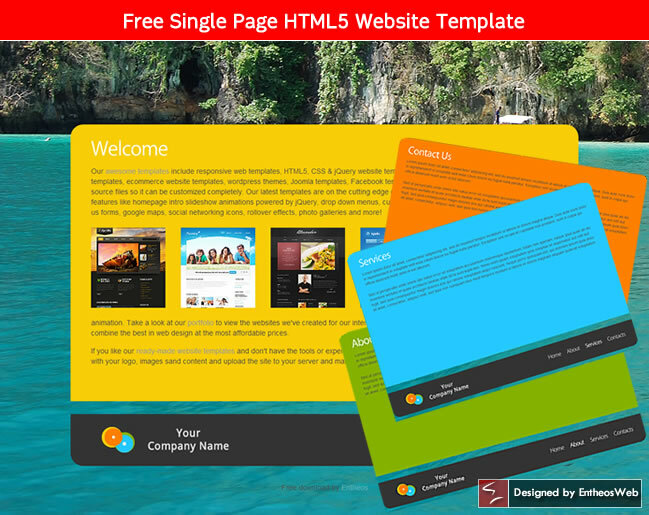 Edit a template and create your stunning HTML5 site simply & easily since no coding or design knowledge is needed. Hope you found these templates useful. Please do link and share this resource for other designers and developers. 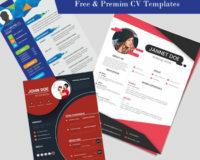 If you would like to see more free templates, let us know what kind of free template you are looking for in the comments below.